In the United States, penalties for drunk driving have steadily increased throughout the past years as organizations such as Mothers Against Drunk Driving have lobbied for stiffer penalties. Higher fines and penalties have increased the importance of proper legal defense when cited for drunk driving. Underage drinking and driving accounts for a disproportionate number of alcohol related accidents and deaths. As a result, many states are responding with felony charges and extended jail time for offenders. States are cracking down on drunk driving. 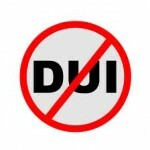 DUI and DWI laws across the nation are becoming stricter and being enforced with greater diligence. “DUI defense,” a branch of criminal defense law, involves attorneys, investigators and forensic toxicologists who attack prosecution evidence on behalf of accused DUI offenders. Generally, DUI attorneys seek to uncover inaccuracies in forensic breath and blood testing as well as bias, inexperience and incompetence by arresting officers. It’s not uncommon for DUI charges to be plea bargained into lesser offenses or sometimes dismissed through legal technicalities or jury trial acquittals. Why are DUI laws so strict? Alcohol slows the brain by acting as a depressant. When you drink, some of the messages your senses are sending to your brain are suppressed. Alcohol in your system also makes you have a distorted picture of how you are moving. You may think, for instance, that you are moving in a straight line, when, in fact, you are staggering across the room. When you are driving, this makes it almost impossible to drive straight down the road. When you drink and drive, you are putting yourself at risk. According to the Centers for Disease Control and Prevention, auto accidents are the leading cause of death for people in America who are under the age of 24, and about 40 percent of those deaths are alcohol-related. Having a blood alcohol content (BAC) of just .10, a tiny bit over the legal limit, puts you at seven times higher of a risk for being involved in a crash that kills someone. If that level is raised to just .15, the risk increases to 25 times. Even a blood alcohol content of .04 can increase the likelihood of someone being involved in a car crash by 1.4 times. So having “just one more” could bring devastating consequences. Denial of naturalization or deportation from the U.S.
Cases involving driving under the influence are known by many different names, but all of them require the services of a skilled criminal defense DUI lawyer. Contact LegalHelpLawyers.com to get in touch with a DUI attorney today!